Discussion in 'Non-Firearm related items' started by 22Rimfire, Jan 20, 2019. 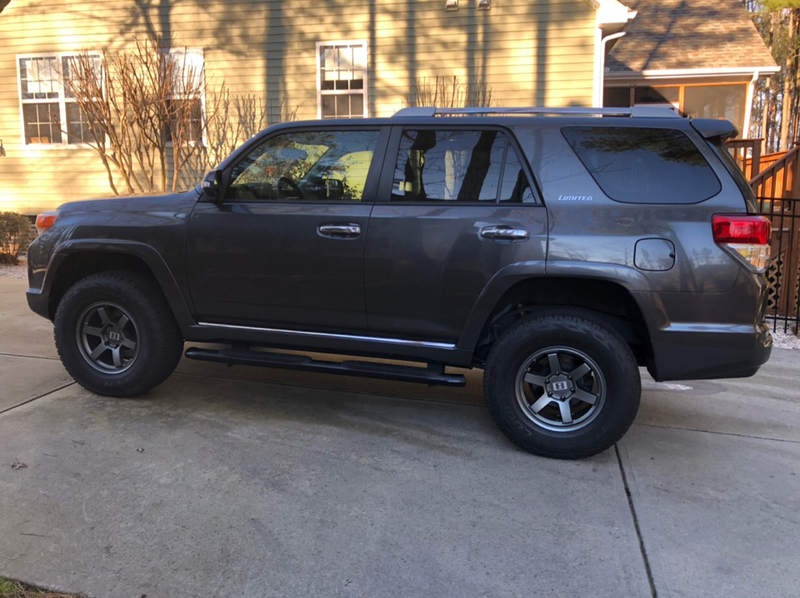 Looking to sell a metallic gray 2011 Toyota 4Runner Limited 4x4. Low miles at 68k. Clean title and very clean vehicle overall. 2nd owner and local rust free N.C. vehicle for its entire life. 4.0 V6 with the 5 speed auto transmission. Black Leather heated seats. Dual climate control, sunroof, touch screen CD player with Bluetooth and AUX input, 2 keyless entry key fobs. Push button start. JBL sound system, Westin running boards, Weathertech front and rear floor mats, Daytime running lights, power seats, hill assist, Basically brand new Cooper Discoverer AT3 285/70/17 tires and MK8 rims with an Old Man emu 3" coil lift. Rear cargo tray, 2" receiver hitch.... Basically every option offered in 2011. Garage kept and non smoker. Never been off the pavement. DirtySCREW, Button Pusher, Fullboost21 and 5 others like this. Don't you mean 5 speed AUTO trans? svtf150 and BlackGun like this. Wow. Wish I were in the market. Perfectly setup and glad you ditched those factory Limited wheels! 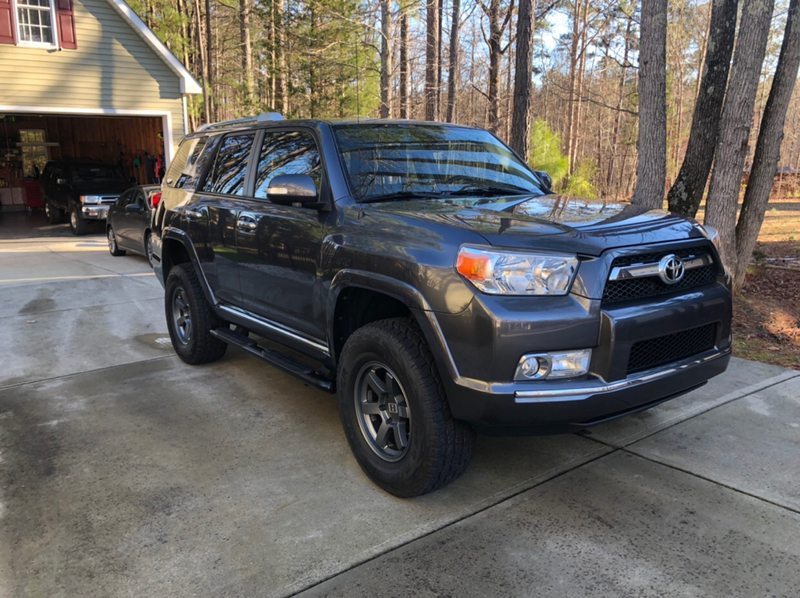 My 2006 4Runner was flawless for 250,000 miles. Great vehicles. Button Pusher and 22Rimfire like this. I think it's pretty obvious that it's an auto but I did add that info it might confuse someone... Sure wish they made a 5 speed MANUAL transmission like my 3rd gen! Nice vehicle, and there is nothing like no car payment(s) and title(s) in hand. 22Rimfire and Majicmike like this.